Running from the 9th-10th of February. This is a joint art exhibition featuring the works of Rob Smith (photographs), Ingrid Tonkin (painting), Robbie Leggat and Brendan Leggat (sculpture). This is a free entrance event and open to the public from 10am – 8pm. For more info visit their Facebook Page. The Plett Music Festival 2016 starts on the 18th of February 2016 and runs until the 21st! See Derek Gripper, Shawn Phillips, The Four Waiters, Nelson Mandela Metropolitan University Choir, and Cat Simoni. Thursday, Saturday, and Sunday ticket prices are R175. The courtyard opens at 7pm and a cash bar will be available with snacks for sale. Friday is R200 including dinner. Tickets available from the Old House Shop. Call Ann on 082 452 8764 or obtain more info on their Facebook Page. If you’re in Knysna make sure to diarise the Knysna Celtic Festival 2016 on the 27th of February. Festival includes a Street March Competition; Massed Pipes & Drums Parade; Pipe Band Competitions; Highland Dancing and so much more! For full details: Visit their Facebook Page. 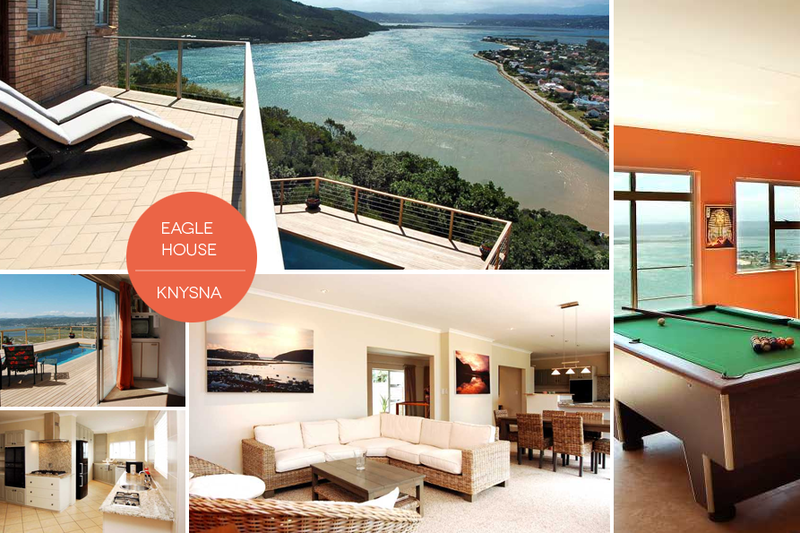 Looking for a place to stay in Knysna? Find out more about Eagle House here (or feel free to contact us regarding rates). An availability calendar is also available.